I’m a regular listener to Chris Guillebeau’s Side Hustle School podcast. In 8 minutes every day, he tells the story of someone who has created a side hustle, something alongside a regular job that provides a little extra income. Chris is good at making it clear that these are examples, not prescriptions. And he’s choosing a variety of examples, from products to services, from a few hundred dollars a month to $100,000 a year. 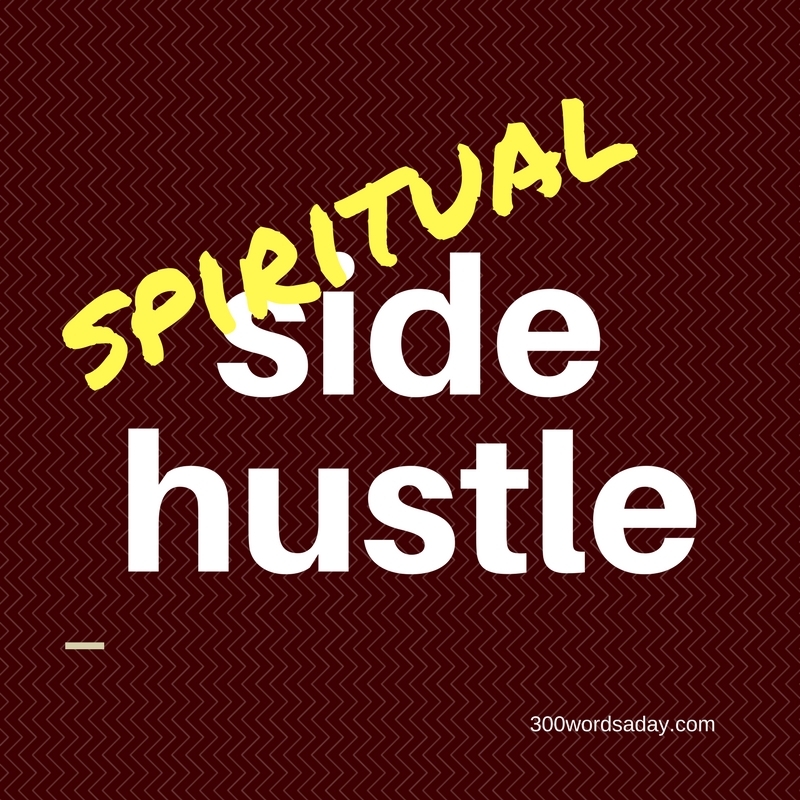 As I was listening the other day, I realized that we need a spiritual side hustle podcast. It would tell stories of people who didn’t quit their day job, but started side projects serving Jesus. Not for money. For those you can listen to Chris. But for the opportunity to change people’s lives, a little at a time. One episode could be about the young software engineer and the ice cream plant supervisor who knew how to explain math, so they started tutoring children who had immigrated from Myanmar (Burma). Another could describe the administrative assistant and the home-school mom who knew that people need the dignity and delight of a good home cooked meal so they started inviting people to a meal. Another could tell about the carnival ride business operator who started running the local food bank because there wasn’t anyone else. Another could introduce the office manager who uses Instagram and knitting to raise money and awareness for refugees still IN Syria. I’m thinking it would be an amazing project to illustrate how many people are doing remarkable work in people’s lives in the name of Jesus outside the church building. Chris always ends his stories with, “Inspiration is good, but inspiration combined with action is so much better.” This podcast isn’t going to my project, but I invite you do it. Or maybe just to start a spiritual side hustle.